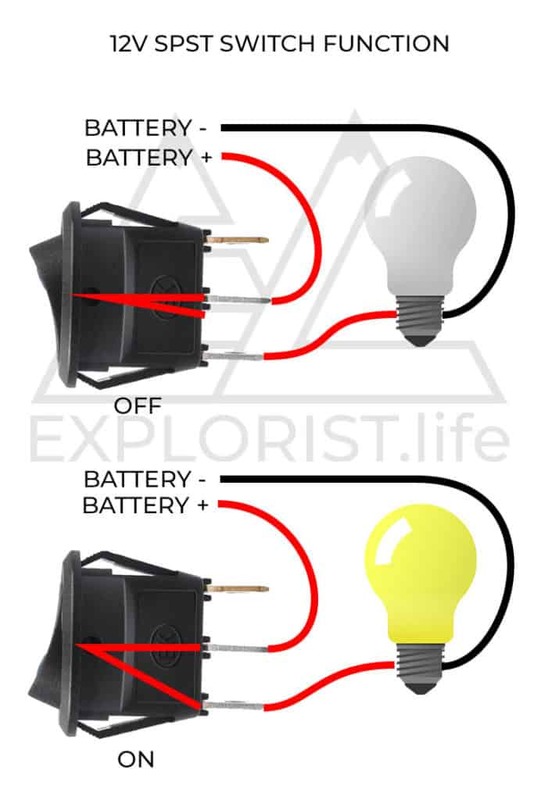 Affiliate Disclaimer: As an Amazon Associate, EXPLORIST.life earns from qualifying purchases.. 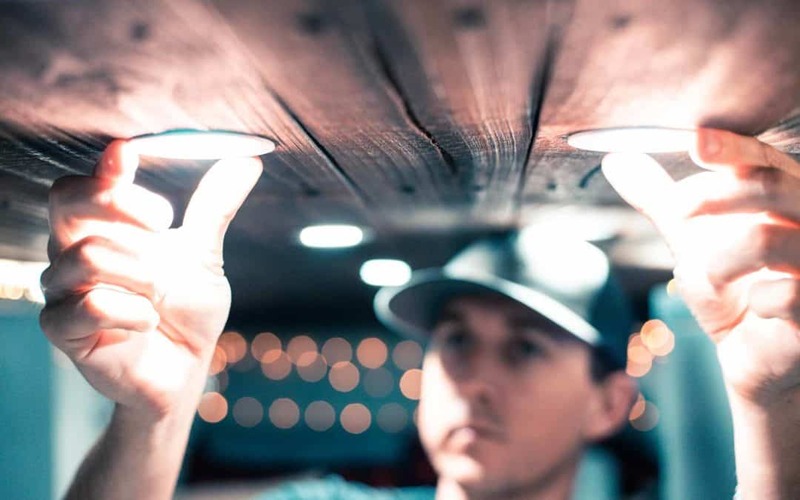 Ever live in a house that had lights you couldn't turn off and on by a switch? No? Me either. Let's keep that streak up. This blog post is going to teach you how to wire 12v lights (and any other 12v accessories) you want to control by a switch or two. 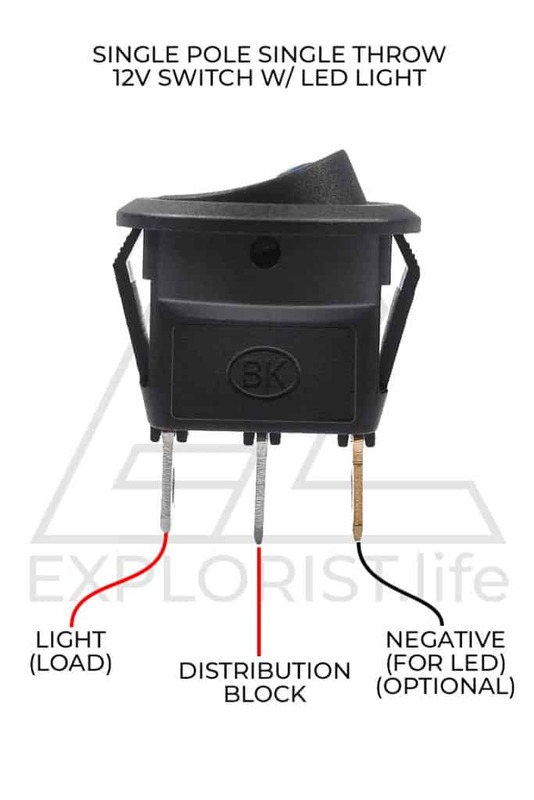 On MOST 12v switches, it seems like most of them come with a little led indicator light on the actual switch. 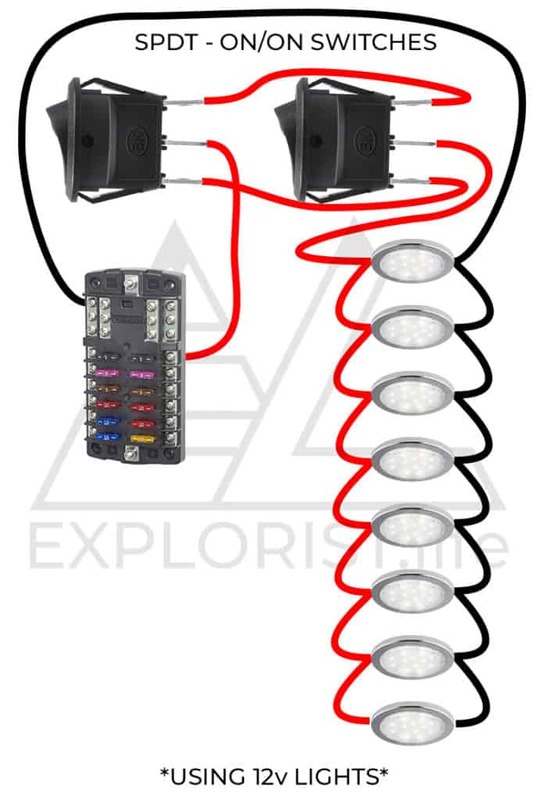 If you want more light ‘zones' and more switches, no problem! 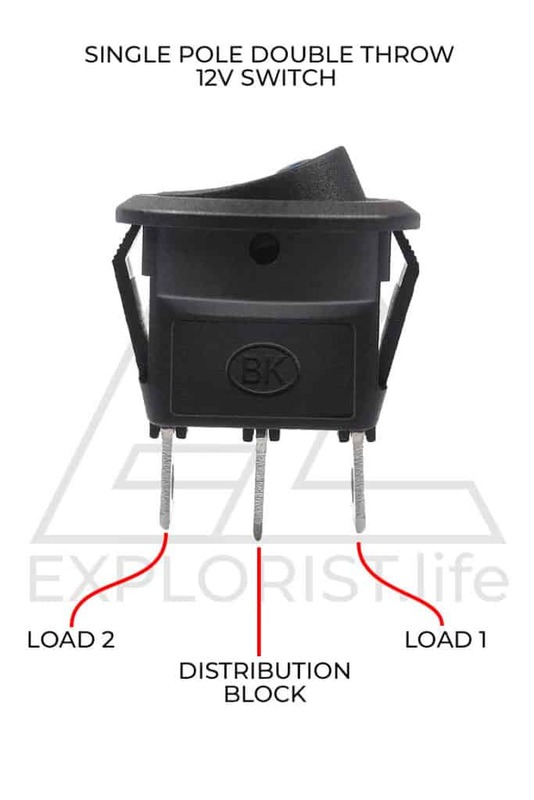 Just mirror that diagram down to the next fuse on your distribution block. HUGLY POPULAR and somewhat confusing, but we will straighten that out. The purpose of a 2 way switch is so that you can have a switch by your entry-way and another by, say, your bed so you can operate the lights. As you can see, the exterior of the switch looks nearly IDENTICAL to the SPST switch we talked about earlier. 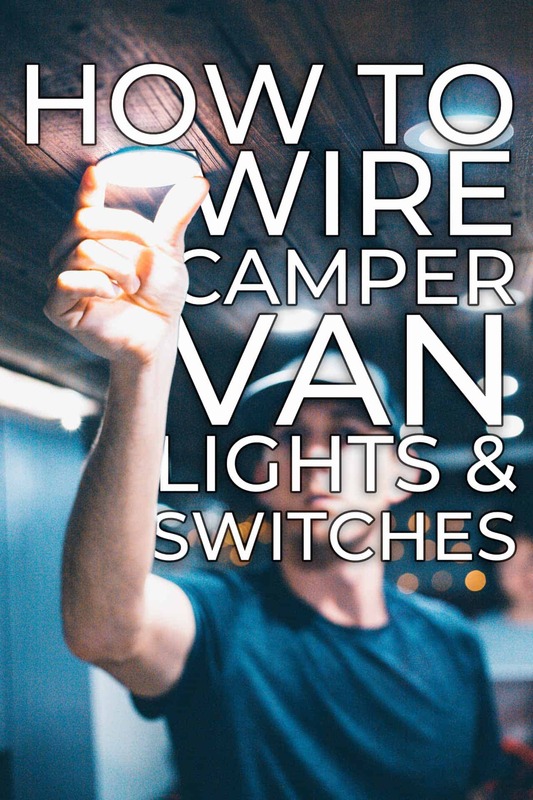 Hopefully, you now know how to wire 12v lights and switches into your DIY Camper. If you have any questions, leave them in the comments below and subscribe for future updates. Finally, If you found this guide helpful, It’d truly mean the world to us if you’d share it with somebody who can use it, pin it to pinterest for later reference, or share it to a facebook group when somebody has a question about this subject. Click the bubble in the lower right corner to subscribe to be notified of future updates and as always, leave any questions you’ve got in the comments below. Hey Guys, these instructions are so great, Thank You! 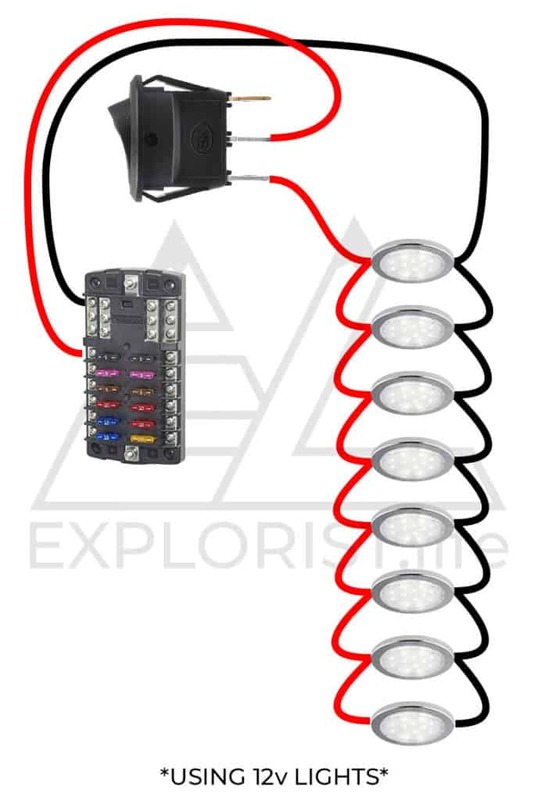 So here’s my question, for your Exterior LED Light Bar and Pods; Are those ran though the Chassis battery with a harness and relay, or though the house fuse box? Ideally I would like to have the front Light Bar with a dash switch, but my perimeter lights on switches in the back. What would be the best way to approach this? Thanks and keep up the great work, the updated site looks awesome. Ours are powered off of the house batteries. I haven’t covered relays and such on the site yet (2/26/19), but will get to it eventually. We have all of our lights on switches under the dash. The switches activate a relay in the back that turns on the lights outside. If I were doing it over again. I’d have a switch mounted up front that turns my light bar on only when my high beams are on. I’d also have a 2 way switch for each ‘zone’ of the peremeter lights, one switch under the dash, one switch in the back somewhere. Those would all activate relays that would turn the lights on. Great info, thanks! Question Ford Transit 250 with standard LED interior lights. I interrupted the ground from each light to the switch you show, then grounded the switch seems to work fine. But after awhile it just shuts off. I know everything is on a loop, just want to make sure I am not damaging anything in the electrical system? No problem! Unfortunately, I dont know about your problem/system to accurately diagnose your issue. I can try again if you give me more info. 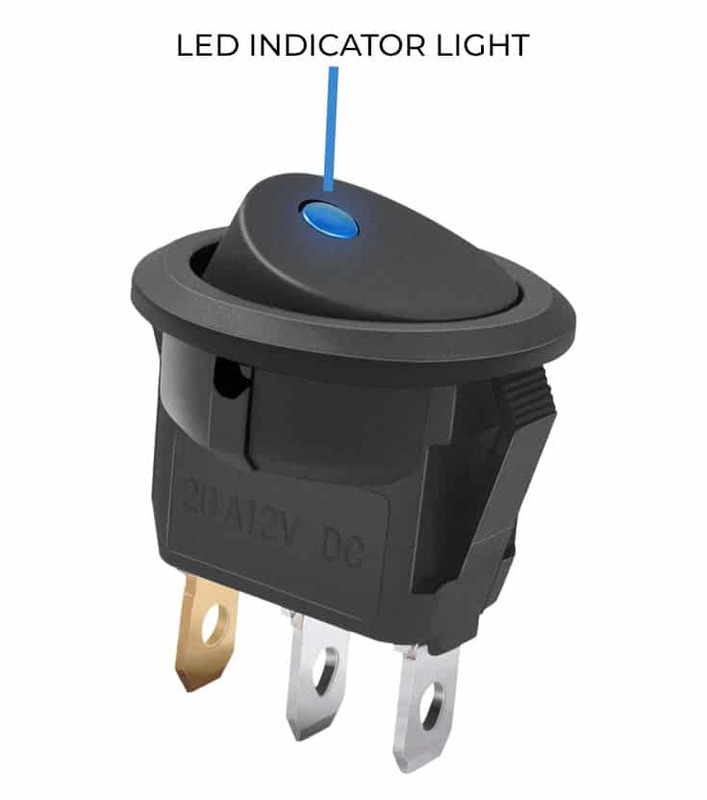 If I understood correctly, you have added a switch to the existing OEM interior light circuit and you haven’t disconnected it from the interior light power supply circuit. 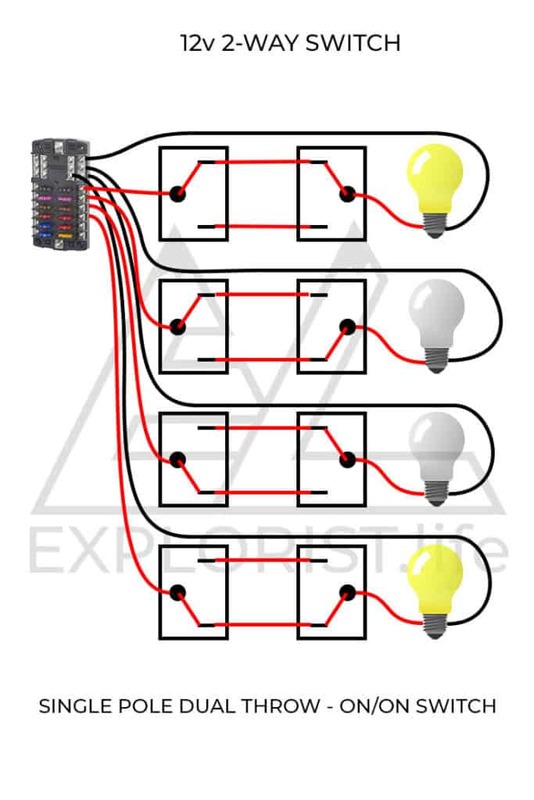 If this is the case you will need to isolate the circuit and provide a new power source with a fuse to prevent the the courtesy time delay of the interior light circuit. The only thing to note is that you will loose the ability to have the interior lights come on when you open the doors.